Three sections of this famous trail. From Kestert to Lorch. 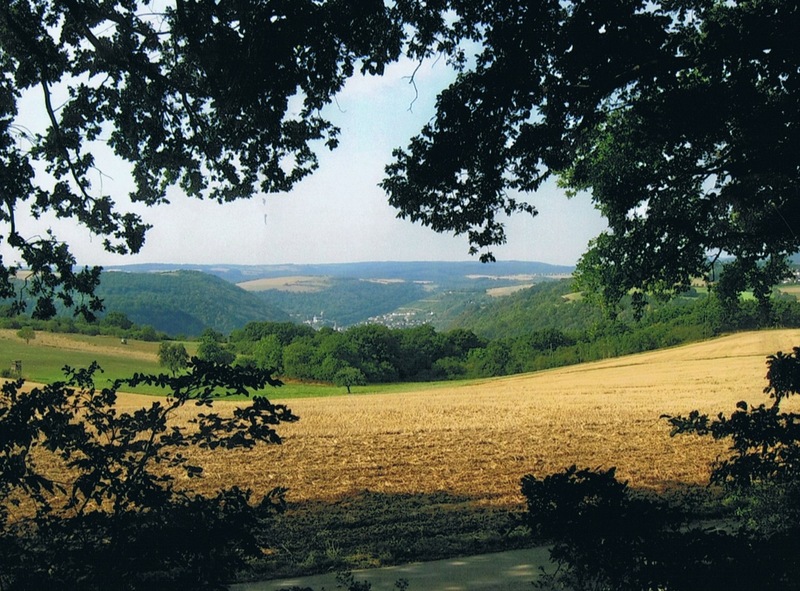 A trail with stunning views, along some old castles and with some steep climbs.The word Steig means mountain path or to ascend. Getting there: (from any airport nearby) the train to Koblenz and then a little further, to the south, with the local train to Kestert. Accommodation: hotels in the villages you come through. Most of the time with gutbürgerliche Küche. You also can book an arrangement ( luggage transfers, map, overnight stays, dinner, breakfast, etc. ).A lot of possibilities via the internet. So called: Pauschal Angebote (special offer). Map: Rheinsteig 2 , Lahnstein-Wiesbaden, scale 1:25.000. Publ. Publicpress. The trail is excellent marked. Indication of height: till about 350m. 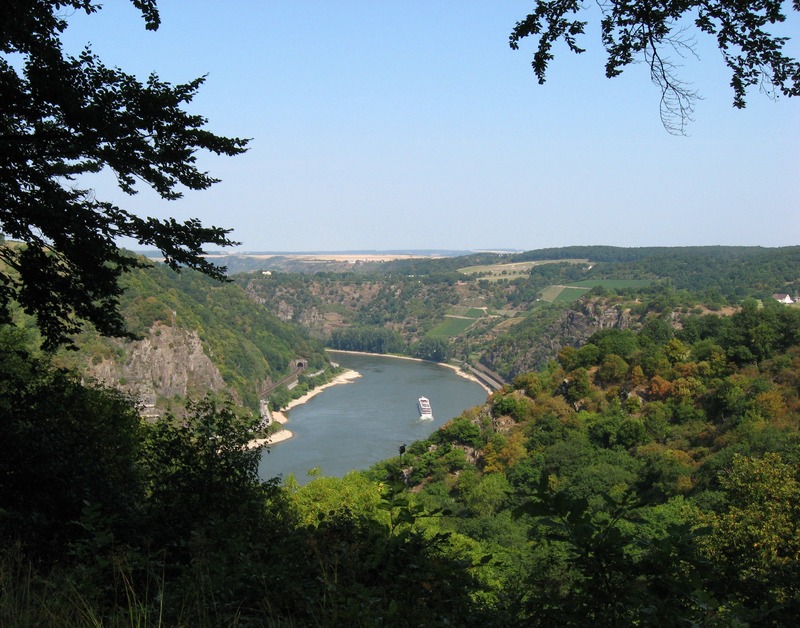 August 2015: three sections of the Rhine Steig. A train is running between the villages. With a little luck you can arrange a return to Kestert with two boats. A - kind of - mini cruise. 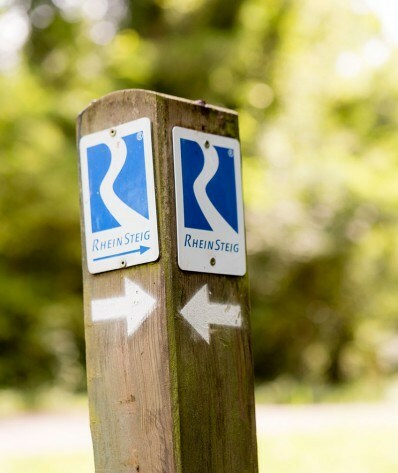 On trail: The RheinSteig is a 320 km trail on the right side of the Rhine river that links Bonn, Koblenz and Wiesbaden. A very well signposted trail. Narrow paths mainly, some steep climbs and frequently those imposing views. 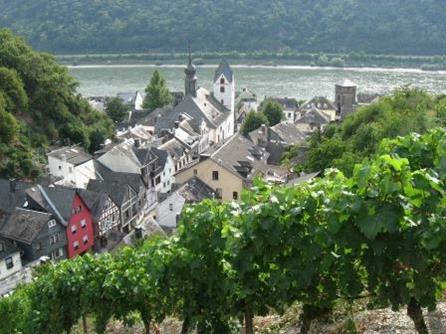 Through forests, vineyards and little villages. You can admire many castles. Build high on the hills to impress the "lower people". 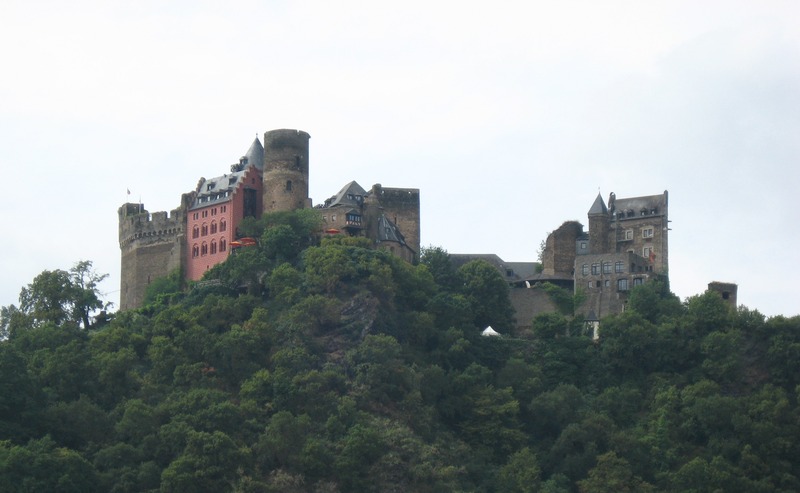 The region we walked through, the Upper Middle Rhine Valley, is World Heritage listed. 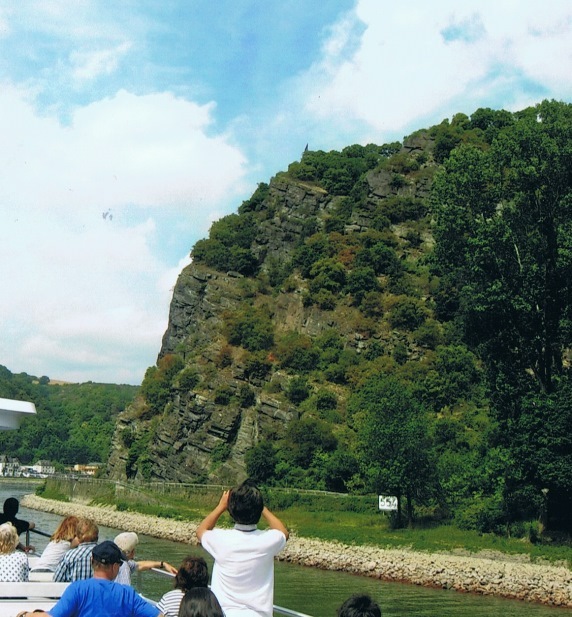 You will see the famous Loreley rock, 132 m above the river. There is nothing to see, but the birthplace of many stories. And: a perfect marketing project!! You'll hear the famous song of Heinrich Heine. An enchanting, seducing mermaid who lures seamen to their death. As said: top marketing: almost nothing to see. Just a rock! Intriguing. 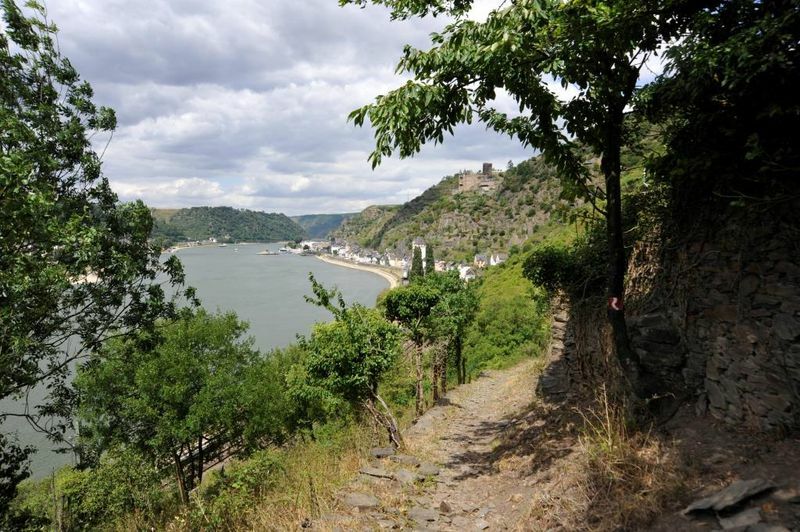 The descent to Kaub, the Rheingauerpfad, is very beautiful. 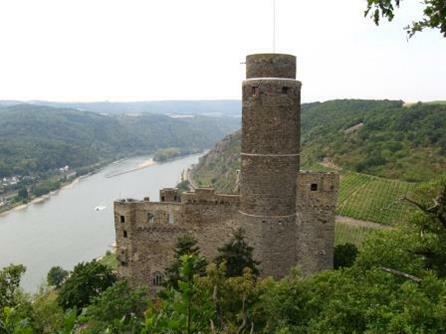 In Kaub you can visit the Burcht Pfalzgrafenstein, accessible by a short boat trip. And after that you can walk further to Lorch.